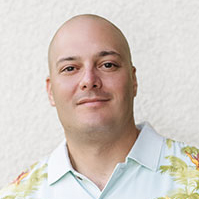 Dr. Jose Colon is the founder of Paradise Sleep, an organization dedicated to education in sleep health. Dr. Colon is dual board certified in sleep medicine and neurology with special qualifications in child neurology. He also has Masters in Public Health, in Child and Maternal Health, and through Paradise Sleep he educates in sleep health topics that impact public health, yet are not routinely taught in school or at times in medical curriculum. He is a founding member of the Society of Behavioral Sleep Medicine as well as a member of the American Society of Clinical Hypnosis. Dr. Colon resides in Southwest Florida with his wife Krystal, and two young children. He encourages all families that a healthy child needs a healthy family.